You will often find that when you visit a land based casino there will be a queue of players waiting to play some of the video poker games, and there is a good reason why some video poker games are hugely popular with players. That is the payout percentages that can be achieved when playing those types of gaming machines can be way higher than are found on any other type of games on offer in those sites. The higher the payout percentage on any type of casino game you play will mean you get more winning payouts form that game and you will have much longer playing session too! Also if you are a member of a comp club you will always find playing higher paying casino games will see you earning many more comp points. There are now lots of different video poker games which you are going to be able to play and have access to on any type of iPad device, and in this casino game playing guide we shall let you know which the best ones to play are. We will also introduce you to some of the very best mobile casino sites at which you will get bonuses and comps whenever you chose to play their real money video poker games on an iPad, so lots of extras will be coming your way when you do! You will be making a good choice if you opt to select any of the Video Poker games to play on your iPad for when playing these types of game you will find the payout percentages on offer are some of the highest ones attached to any iPad compatible casino games. Below are several variants you will be able to play on any iPad device. Jacks or Better – The most played Video Poker game is the Jacks or Better variant, there is nothing complicated about the way this game works and plays and when playing each initial hand that has been dealt out to you optimally then you will always have a very fair and reasonable chance of winning thanks to a very high payout percentage. The jackpot on offer is large at 4000 coins when playing 5 coins per hand dealt out to you! Deuces Wild – There are wild cards to be found in the deck of playing cards on the Deuces Wild Video Poker game, those cards are all of the 2 cards, and the pay table is slightly different on these types of games due to the extra winning combinations that can be formed by players. Progressive Video Poker – Look out for the Progressive Video Poker games for more and more of them are becoming available to players via many mobile casinos gaming platforms. One thing to always be aware of when playing these types of games is that you need to place a wager of a certain amount to have any chance of being awarded with the progressive jackpot! What iPad games are the best ones to play? 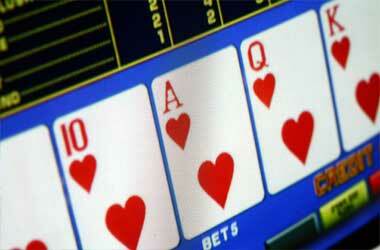 Do iPad casinos offer video poker game tournaments? Many iPad compatible casinos will offer you the chance of taking part in a video poker casino game tournament, however be aware that when you do play in a video poker casino game tournament offered by a mobile casino site the way the tournaments are structured will be different than some you may have entered before. It will be the number of comp points you earn when playing mobile video poker casino games for real money that will determine whether you are going to win a cash prize or not, so you will have to play those games with your own real money throughout the tournament to have any chance of winning. Which iPad casino accept Click2Pay?